1. 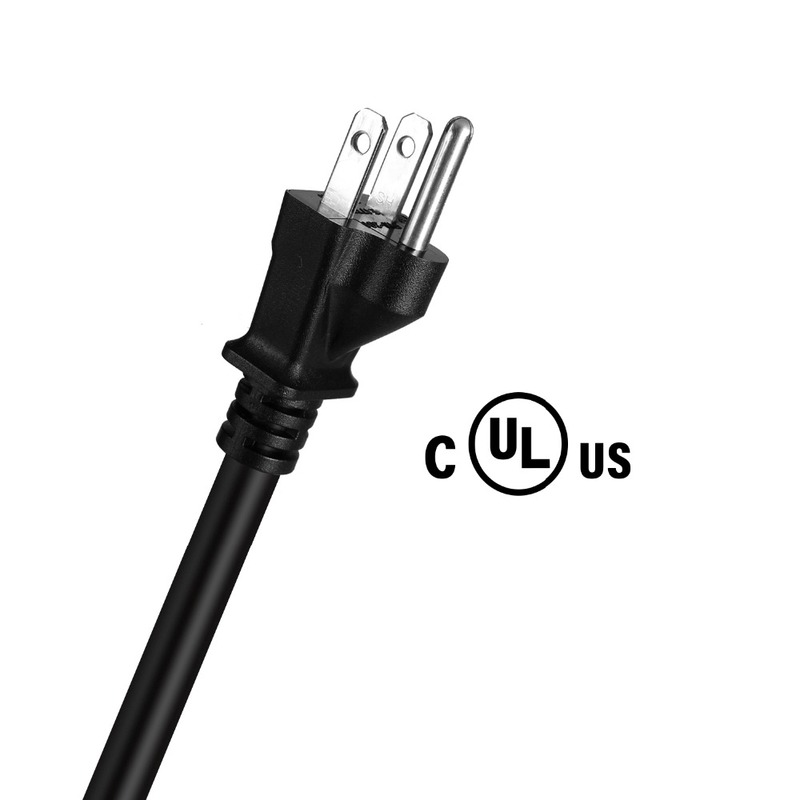 US ETL Certificate Listed and Warranty. 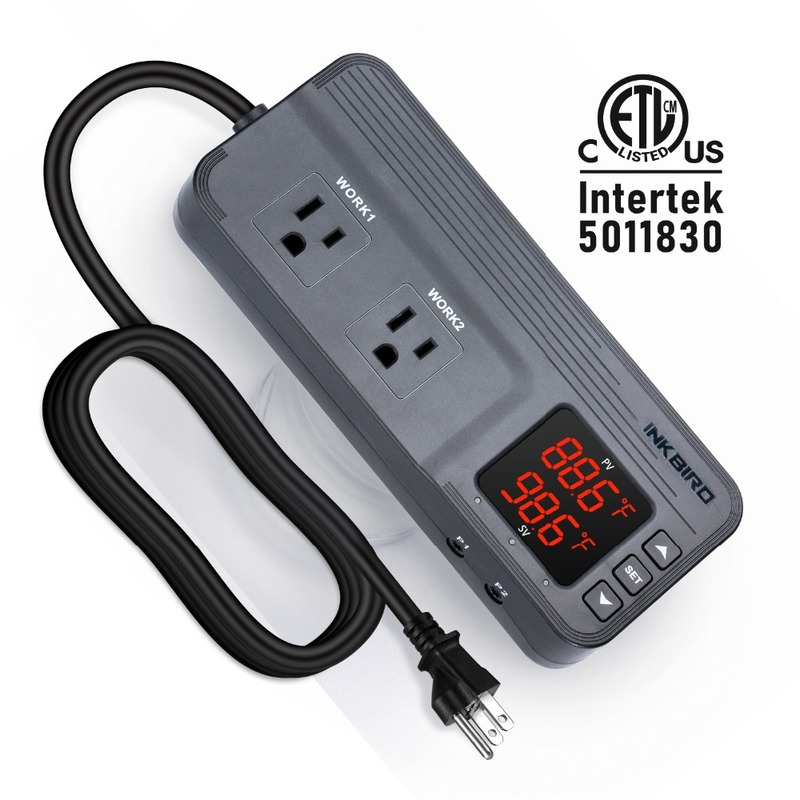 2.Three in one Multifunction Temperature and Humidity Control Mode with Dual Relay Output. 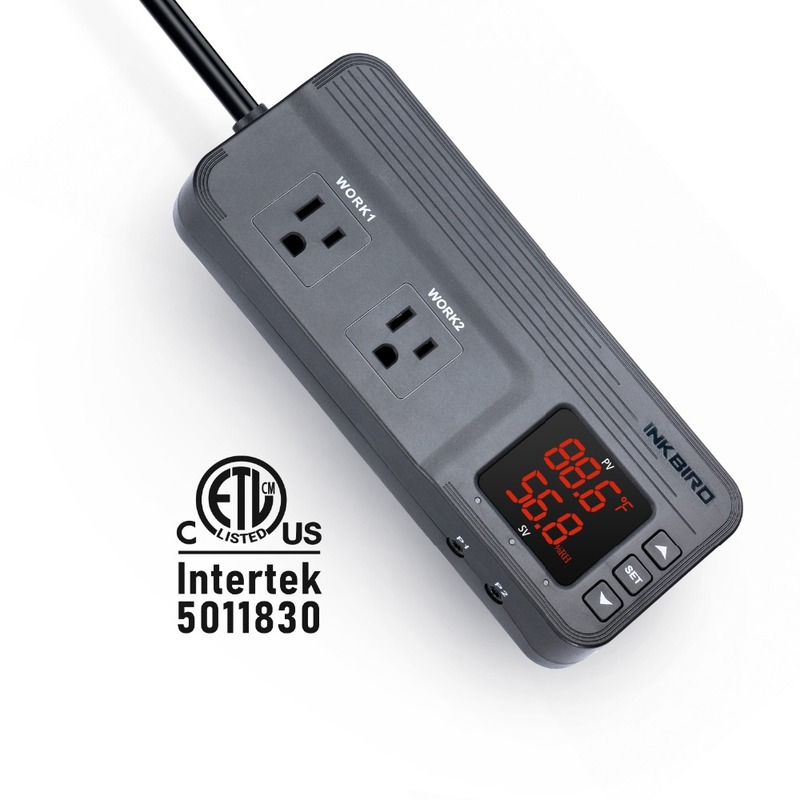 ITC-608T can work as a temperature controller, a humidity controller, a temperature and humidity controller. 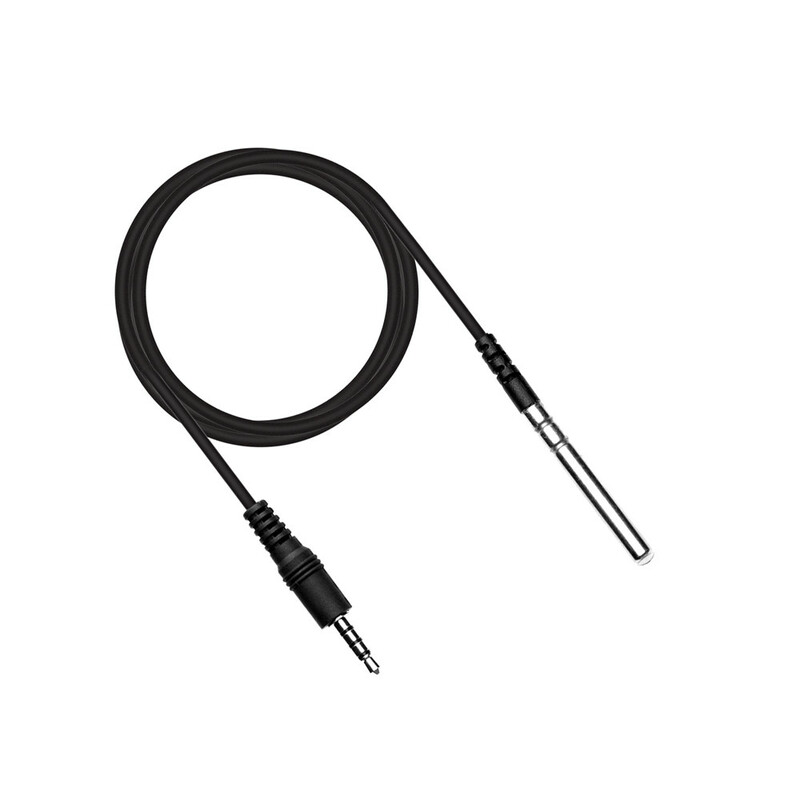 First, only plug temperature sensor with cooling and heating equipment. 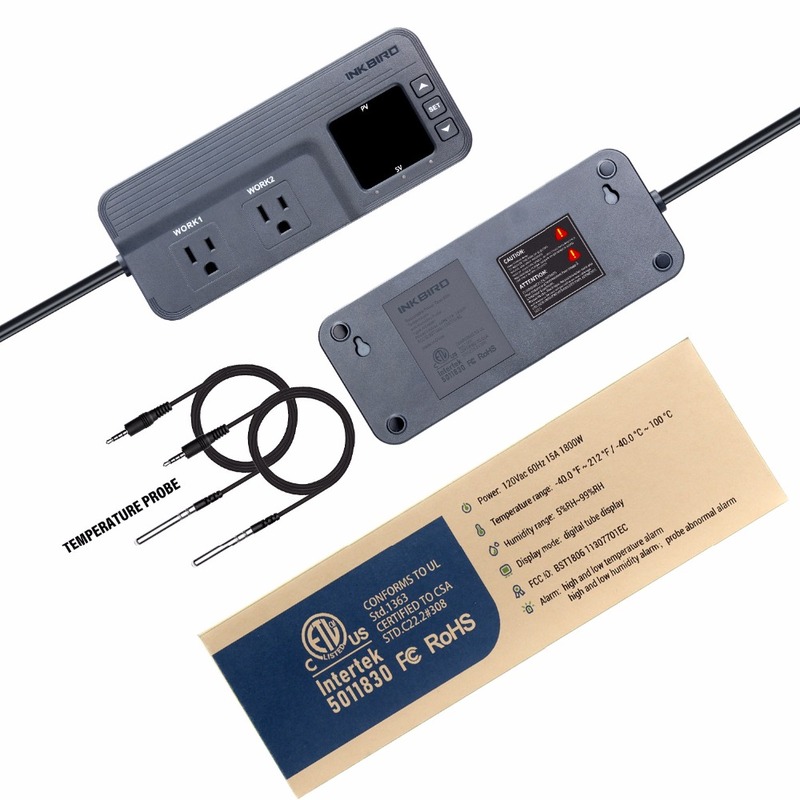 Second, only plug humidity sensor with humidifier and dehumidifier equipment. 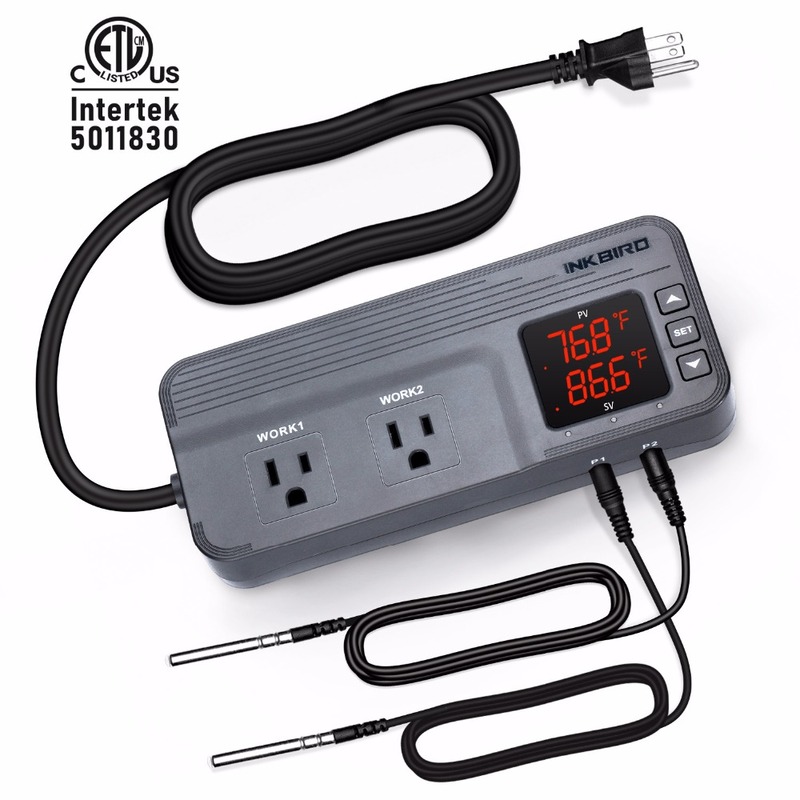 Third, plug both temperature and humidity sensor with cooling/heating and humidifier/dehumidifier equipment. 3. Supporting calibration, compressor delay and saving reset setting values. Centigrade or Fahrenheit degree display, easy to set, PV and SV dual display windows. 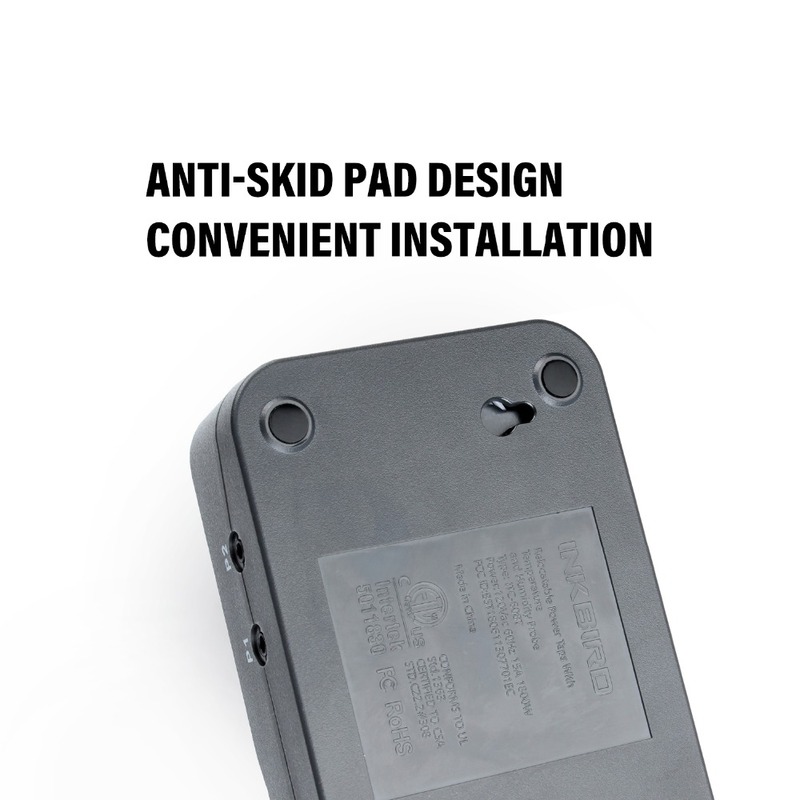 And with compressor delay for protecting cooling device. 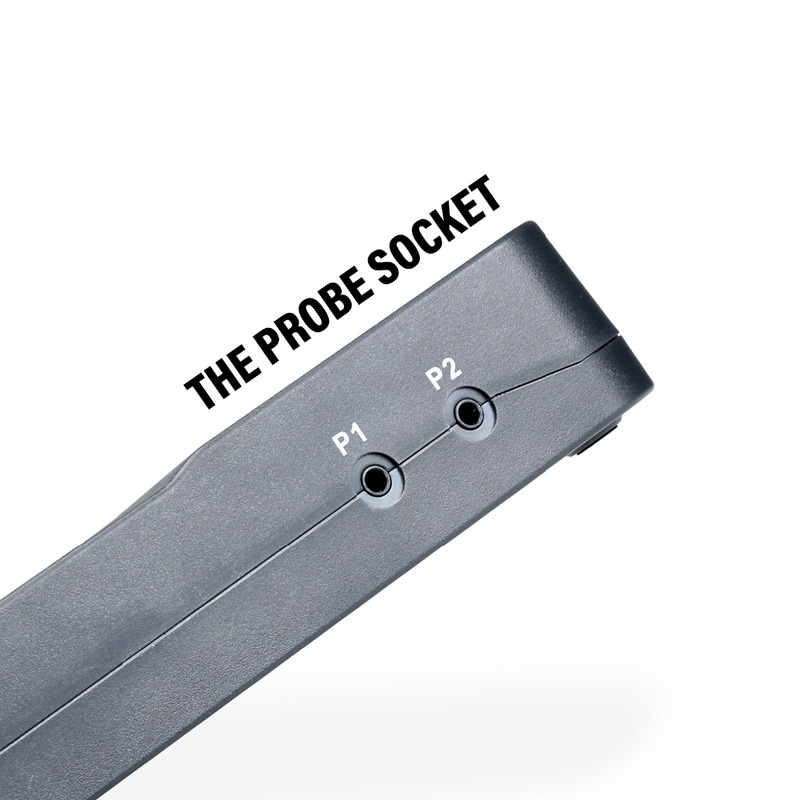 ITC-608T can save the original setting values in case accidentally power-off. 4. More power up to 1800W. Temperature control range is -40-212°F(-40-100°C), humidity display range is 5 -99.0%RH. Max Loading: 120V 15A 1800W. Temperature senor is waterproof while humidity sensor is not. 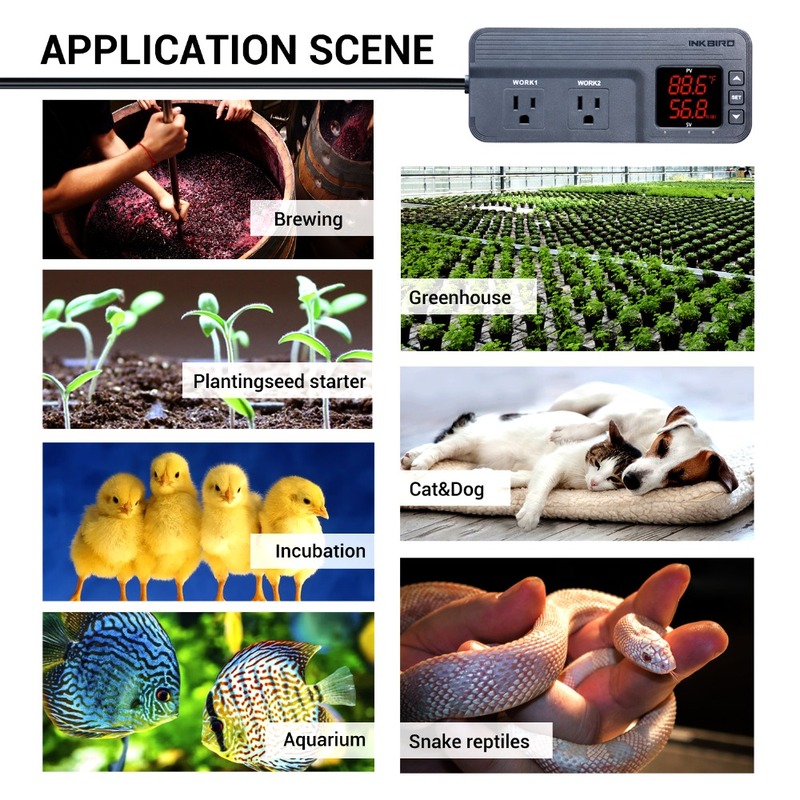 Temperature and humidity controller ITC-608T can be used in home brewing (refrigerator), fermenting, Greenhouse, terrarium, reptile, planting (mushroom), meat storage and cooking.